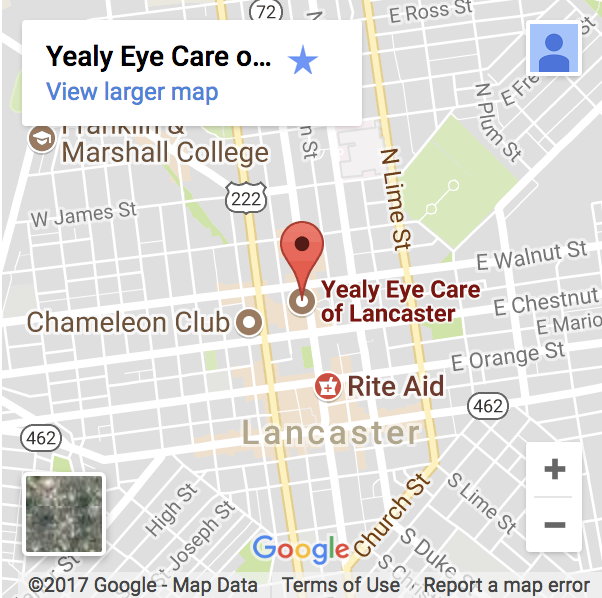 Our optometrists in Lancaster, PA take the time to explain the results of your eye exam, describe your options and listen to your eye care needs. Because maintaining good eye health is an ongoing partnership, we encourage you to ask questions and share your health information, which could be vital to monitoring, diagnosing and treating potential vision problems. 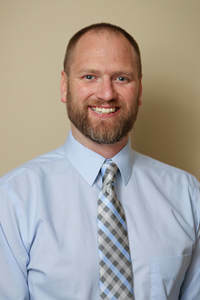 Dr. Ryan Yealy received his Bachelor of Science degree from Millersville University and his Doctorate of Optometry from Salus University in Philadelphia. After graduation, he was commissioned as a Captain in the United States Army and served on active duty for four years. He was first stationed at Fort Knox, KY. where he helped oversee a student externship program while engaging in special training for Air Assault school and going on a mission trip to provide care in Cambodia. He then was transferred to Fort Carson, CO. where he was one of two Optometrists assigned to a Combat Unit. After his active duty service was complete, he decided to move back to his hometown of Pennsylvania with his wife and young daughter to settle down and be close to family. Dr. Ryan Yealy provides primary eye care, diagnosing, treating and managing conditions and diseases of the eye and visual system and also specializes in low vision evaluations. El Dr. Ryan Yealy recibió su Licenciatura en Ciencias en la Universidad Millersville y su Doctorado en Optometría en la Universidad Salus en Filadelfia. Luego fué comisionado como Capitan en el ejército de los Estados Unidos y estuvo en servicio activo por cuatro años. Inicialmente en Fort Knox, KY. supervisando el programa de externado en Optometría y simultaneamente entrenándose en la escuela de “Asalto Aereo” y participando en misiones en Camboia. Luego fue trasladado al Fort Carson, CO. donde era uno de los dos doctors asignados a una mission de combate. Al terminar su servicio en el ejército regreso a su ciudad natal en Pensilvania junto con su esposa y sus hijos. El Dr. Ryan Yealy brinda atención ocular primaria, diagnóstico, tratamiento y manejo de condiciones y enfermedades de los ojos y se especializa en la evaluación de condiciones severas de Baja Vision. 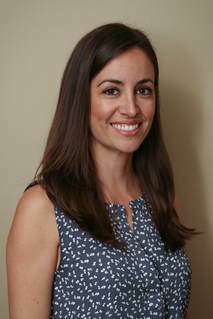 Dr. Natalia Yealy received her Bachelor of Science degree from the University of Florida in 2002, she graduated with honors and was a recipient of the prestigious Miller Scholar Award. She received a second Bachelors degree and her Doctorate of Optometry in 2006 from Nova Southeastern University, graduating at the top of her class. After graduation, she was commissioned as a Captain in the United States Army and served on active duty for four years while stationed at the Pentagon, Walter Reed, Fort Sam Houston, TX., and Fort Jackson, SC. She continued life in the Army following her active duty husband (Dr. Ryan Yealy) to Fort Knox, KY. and Fort Carson, CO. until 2013, when they decided to move to PA and put down permanent roots. Dr. Yealy provides primary eye care, diagnosing, treating and managing conditions and diseases of the eye and visual system and also specializes in pediatrics. Dr. Yealy was born in Colombia and is fluent in both Spanish and English. Dr. Natalia Yealy recibió su licenciatura en Ciencias de la Universidad de Florida en 2002. Se graduó con honores y recibió el pretigioso premio como “Miller Scholar”. Recibió segunda Licenciatura y el Doctorado en Optometría en 2006 de la Universidad Nova Southeastern, donde se graduó con honores. Después de graduarse, fué comisionada como Capitán en el ejército de Estados Unidos donde sirvió por cuatro años. Inicialmente en el Pentágono y el hospital Walter Reed, luego en el Fort Sam Houston, TX., y Fort Jackson, SC. Continuó la vida en el ejército junto con su esposo, el también Capitan Dr. Ryan Yealy, en Fort Knox, KY. y Fort Carson, CO. hasta 2013 cuando decidieron trasladarse a PA y echar raíces permanentes. La Dra. Natalia Yealy brinda atención ocular primaria, diagnóstico, tratamiento y manejo de condiciones y enfermedades de los ojos y el sistema visual y también se especializa en pediatría. La Dra. Yealy nació en Colombia y habla con fluidez el Español y el Inglés. Dr. Glinski received her Bachelor of Arts degree in Neuroscience from Franklin & Marshall College in 2004. She received her Doctor of Optometry degree from the Pennsylvania College of Optometry at Salus University in 2009. She earned clinical honors throughout her externship rotations in primary care, ocular disease, contact lenses and pediatrics. Dr. Glinski continued her training by completing a residency in primary care and ocular disease at The Eye Institute in Philadelphia in 2010. She joined the Yealy Eye Care Family in 2017. She is a member of the American Optometric Association, the Pennsylvania Optometric Association and the Lancaster County Optometric Society. Dr. Glinski is dedicated to providing quality eye care, contact lens services and management of ocular diseases. Dr. Moyer is a recent graduate of Salus University and Lancastrian transplant. Dr. Moyer grew up in rural up-state New York. She is a primary care optometrist with a specialty in low vision. Dr. Moyer, along with Dr. Yealy, is one of central Pennsylvania’s only low vision specialists, treating vision loss due to macular degeneration, glaucoma, and other debilitating diseases causing severe vision loss. Dr. Frank received her degree from Pennsylvania College of Optometry and then completed a residency in ocular disease at OMNI Eye Specialists in Baltimore. She has well over a decade of eye care experience and has spent most of that at a referral clinic for diagnosis and management of ocular disease in Baltimore. She finds eye-care immensely fulfilling because in addition to helping people with the gift of sight, she has had the opportunity to connect with diverse patients from around the world. Whether it is through her work teaching at CCBC, interns, and technicians, or keeping current on evolving treatment options at her practices, Dr. Frank continues to grow and share her knowledge. Dr. Frank is proud to now call Lancaster County home with her husband and three children. She is an avid volunteer at her children’s elementary schools and a member of St Leo Parish.